Gorgeous oceanfront home in the heart of Beach Haven. This home has 5 beautiful full bedrooms, 5 full bathrooms, and 2 half bathrooms. It is 3,500 sq. ft of magnificently crafted open-concept living and dining spaces that allow for effortless movement onto the outdoor deck. 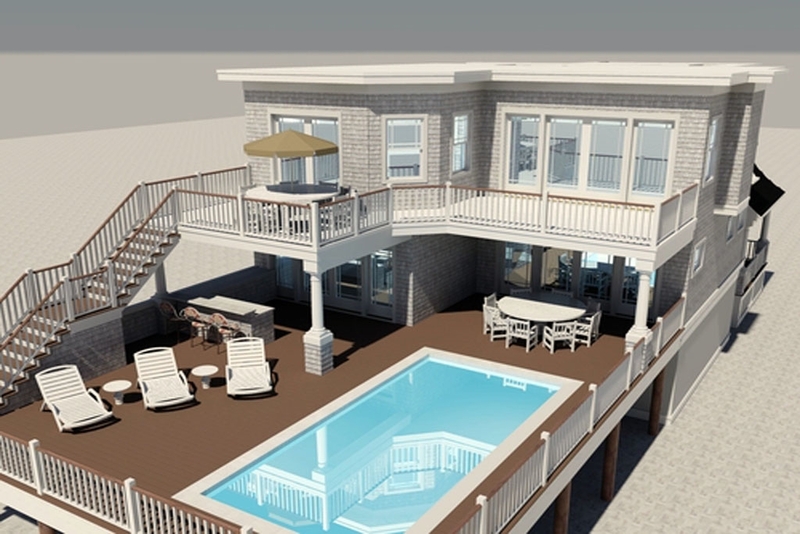 The deck includes an outdoor lounge with an in-deck salt water pool that makes the perfect space for relaxing and entertaining. Accompanied by the panoramic ocean views, this outside living space is like owning a bit of paradise. However, if you want to get out of the house for the day, you are only minutes away from the town of Beach Haven and the fun shops and restaurants it has to offer!